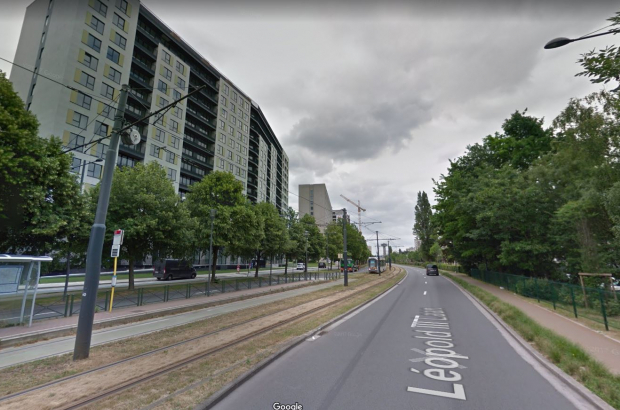 Brussels' first average speed camera - which measures a vehicle's speed over a long stretch of road instead of at a fixed point - will enter service on Boulevard Leopold III between Schaerbeek and Evere in the coming weeks. The system is designed to record the time taken to travel between two points and calculate the average speed. Drivers heading into central Brussels from Brussels Airport and Nato will be measured over a distance of 663m. Heading away from the city, the cameras are placed 883m apart. A similar set of cameras was placed in the Leopold II tunnel but has yet to be implemented, as the tunnel is undergoing renovation works. Brussels secretary of state for road safety, Bianca Debaets, said: "Studies have shown that with these speed cameras, the driver tends to adapt their speed accordingly along the entire stretch of road, rather than deliberately slow down for the camera and then speed up again." In related news, speeding fines in Belgium will soon be accompanied by a photo from the speed camera. A justice ministry spokesman said including photographic evidence aimed "to save time" dealing with appeals. "If your number plate has been cloned, it will be obvious much earlier," the spokesman said. Fines can be paid online via the official website amendesroutieres.be - but police have warned drivers to be on the lookout for scam websites bearing similar names. The Walloon Brabant prosecutor's office is investigating a case involving the site amandesroutieres.be - amandes are almonds, while amendes are fines. A driver reportedly received a fine in the post directing him to pay on the fake site, which has since been taken down.